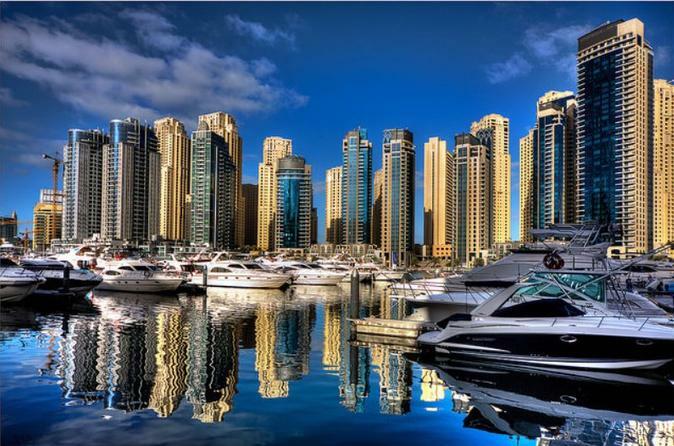 Enjoy Dubai like a VIP with a sightseeing tour by private yacht. You’ll get up-close views of waterfront landmarks like the Burj Al Arab and Atlantis, The Palm, and cruise through the World Islands. Admire the city’s soaring skyline from the water, and see the resort of Madinat Jumeirah.